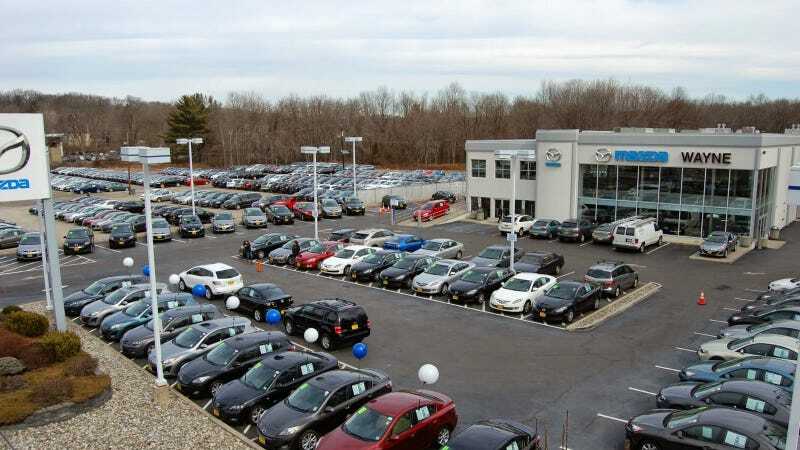 Investigation Says New Jersey Dealership Sold Rental Cars As "New"
In a shocking bit of news there is another New Jersey dealership group being investigated by Division of Consumer Affairs for deceptive advertising and sales practices, including selling rental cars as new vehicles. It's no wonder why the dealer lobby didn't want Tesla in the state. -misrepresenting at certain motor vehicles advertised and/or offered for sale were available for purchase when those motor vehicles had previously been sold or leased. According to the document the dealership also failed to disclose all applicable purchasing costs which is a legal requirement in the state. The complaint also goes on to say that the dealership advertised vehicles for sale that they did not have possession of. For example, Wayne Auto Mall Hyundai advertised for lease a 2013 Hyundai Genesis for at least 175 days that it did not possess, and that was in fact, located and titled in Pennsylvania. Part of the reason I became a buyer's consultant is because I would hear time and time again about folks being ripped off in my home state of NJ. It seems like every other week there is another story about a NJ or NJ affiliated dealership being investigated. I don't know if there is something in the water here, or these "stealerships" just think they can get away with it.